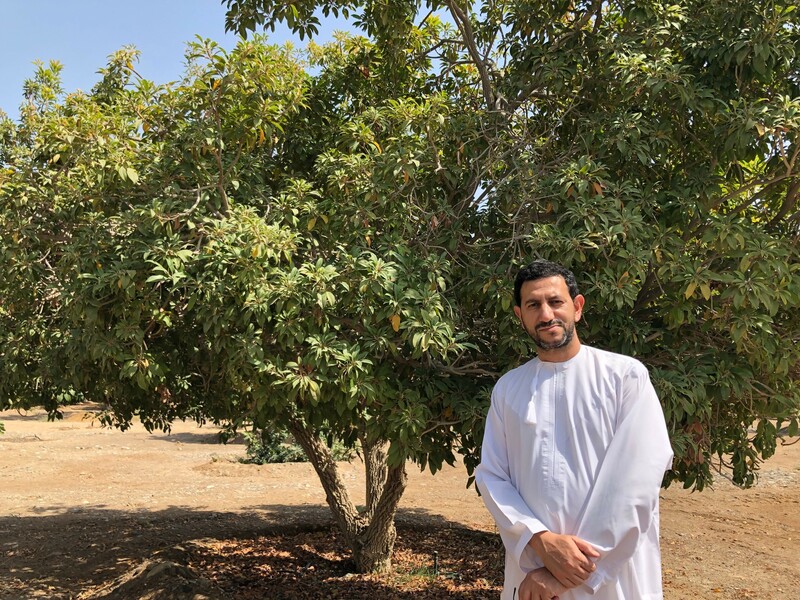 Ahmed al-Busaidi at the Sultan Qaboos University research farm (Photo: Benjamin Plackett). MUSCAT—More than a quarter of the garbage in Oman comes from food waste. In 2016, Omanis threw away close to $300 million worth of food, according to Be’ah, a government-owned company tasked with addressing the problem. Biogas can be used as fuel much like natural gas. However, unlike natural gas, biogas is considered to be renewable. That’s because the carbon dioxide produced when it burns is equal to the carbon dioxide that was withdrawn from the atmosphere by the crops used to produce the food in first place. In order to know where to best build their biogas plants, al-Hinai and his team first want a precise understanding of the food waste supply. They need to grasp how food waste varies at the weekend compared to the weekdays, and where most of the waste comes from. For this, they are collaborating with agricultural scientists at Sultan Qaboos University. “We are visiting farms, slaughter houses and supermarkets to produce daily, weekly and monthly values of their waste output,” says Ahmed al-Busaidi, a researcher in the department of soils, water and agricultural engineering at Sultan Qaboos University. The end result of al-Busaidi’s study will allow Ba’eh to take a data-driven approach for the four plants they hope to build in the north of the country, which would be used to both produce and burn biogas to make electricity. The benefits in pursing this project are threefold, says al-Busaidi. In addition to an alternative source of energy, the biogas plants would reduce the landfill burden and, as a by-product, make an organic fertilizer suitable for farms. Kumar has studied the potential of producing energy from food waste and says biogas plants could be a wealth-generating solution for the region, if well managed. It’s difficult to quantify how food waste may be increasing in Oman and the wider region, says al-Hinai, because historical data is lacking. But based on rising population levels and urbanization, Ba’eh is working on the assumption that the problem is likely on the rise. Nevertheless, the current situation is already a significant concern for the region, argues Mirza Baig, a professor of food and agricultural sciences at King Saud University, in Saudi Arabia. Today’s level of food waste in the Middle East is a food security issue in addition to a landfill logistics problem, he says. The statistics back him up. Saudi Arabia’s total food waste equates to 11.7 percent of the kingdom’s entire agricultural output. In Sudan that figure is 11 percent and in Jordan that figure rises slightly to 12.7 percent, but it’s considerably higher in the United Arab Emirates at 59.1 percent. The index doesn’t have data for Oman. By comparison, the figure is just 0.8 percent for the United States and 1.7 percent for the United Kingdom. In Muscat, the biogas initiative is not without its issues. Kumar warns that the system’s success also depends on behavior change. “The main difficulty will be the collection method,” he says. Supermarkets, farms and abattoirs need to be convinced that it’s worth their while to change the way they dispose of waste. There are no plans at the moment for Ba’eh to offer financial incentives to encourage businesses to enroll, but they hope to encourage them to do so through education and by making the waste collection as simple as possible. Additionally, the price of the electricity produced by the biogas plants will not soon be competitive on the open market in a part of the world with ample fossil fuel stocks, admits al-Hinai. Making biogas also frees up more of Oman’s natural gas and oil reserves for export. “In the end, this is a strategic decision for Oman to be more efficient,” says al-Busaidi.